I am guilty. I am a huge macaroni and cheese fan. It’s probably my favorite comfort food. Over the years I’ve made quite a few different kinds. Most use some type of rue to start the start the cheese sauce and this one does as well. It took me a long time to even attempt a roux, which is seriously limiting when it comes to cooking but my advice is don’t be afraid. Roux is actually really easy and as long as you don’t walk away from it everything should work out. Recently I started my first ‘real’ job after graduating from college and I’ve found the cafeteria food (while it is delicious – weird I know, but they have sushi… made right in front of you… and it’s good) is a little on the spendy side and over time it makes a difference. So, I’ve been trying to figure out how to bring lunch that is appealing and healthy and that doesn’t take too much time or effort when it comes time to shoving it into my lunchbox ten minutes before I leave. 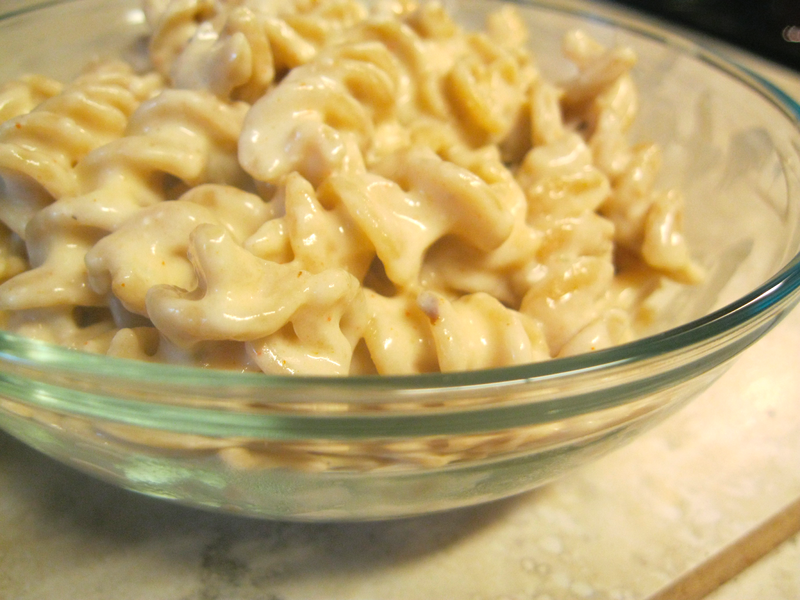 So I’ve tried to make a macaroni and cheese that isn’t quite as terrible for you others that exist but is still cheesey, creamy, and delicious. The recipe I came up with doesn’t use heavy cream or anything that serious. 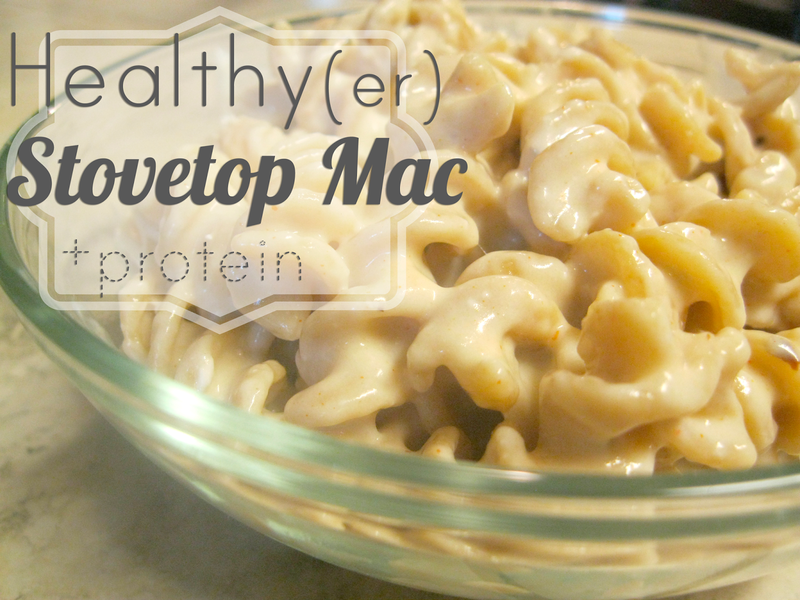 It uses whole wheat noodles and includes cottage cheese for extra protein (25g per cup)! Anyway… lets get into it. First blend the cottage cheese with a splash of milk in blender (I used my NutriBullet, but any blender should work) until it's smooth and set aside. Next, start the roux. Melt the butter in a sauce pan and once its melted add the flour. Stir the roux over med-low heat for about 2 minutes. Then add the milk, mix until it comes together an begins to thicken. Add the cottage and shredded cheese along with the seasonings and stir until cheese melts. At this point you can add more milk for a thinner sauce or continue cooking for a could minutes for a thicker sauce. Finally pour the sauce over the noodles, stir to combine and devour! I always add a little Siracha to mine but you could top it with so many things. 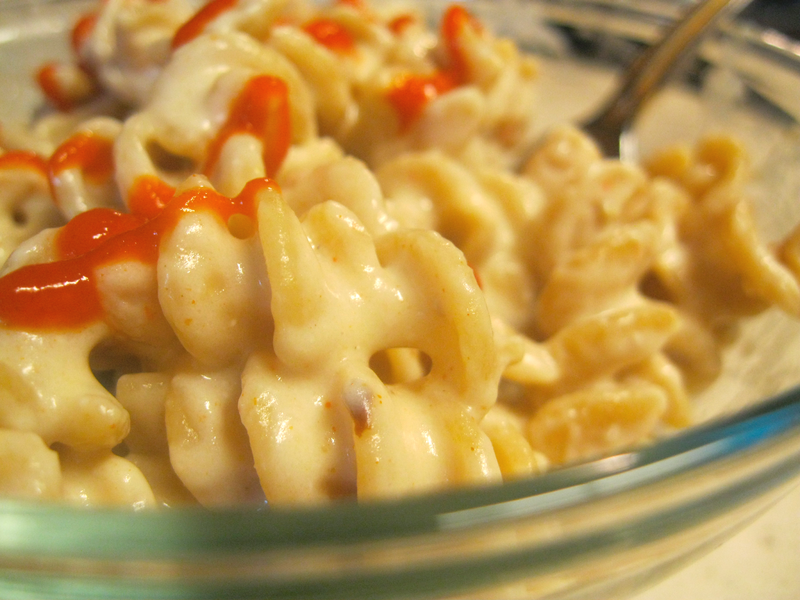 What's your favorite topping for Mac & Cheese?